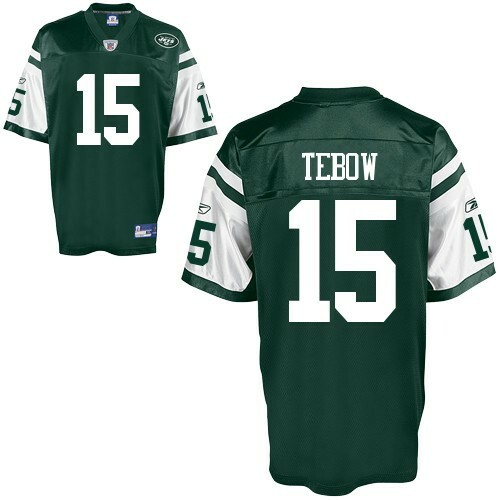 New York Jets quarterback Tim Tebow Jerseys is the center of all the controversy as Nike moved to court against Rebook to prove it is superior. Nike (NKE) claimed in a lawsuit in U.S. District Court that Reebok International has used Tebow’s name on Jets-related apparel without permission since it was announced last week that Tebow was traded from the Denver Broncos to New York. The Tebow trade occurred just before Nike replaces Reebok as the official supplier of NFL team uniforms for the 2012 season. The lawsuit, which seeks unspecified damages, claims Reebok misappropriated publicity rights, interfered with business relationships and unjustly enriched itself because it failed to get Tebow’s permission before launching the products. Reebok, based in Canton, Mass., did not immediately respond to a request seeking comment. The lawsuit said Reebok did not respond to demands to cease Tebow apparel sales after a Tebow representative sent a letter to the company Friday. According to the lawsuit, new Nike-supplied uniforms for all 32 NFL teams will be unveiled next week in New York City, kicking off a five-year deal for Nike to be the league’s exclusive provider of on-field apparel, including game uniforms and sideline apparel. Reebok was the supplier for the past decade. The lawsuit added that it was unlikely that a consumer who buys an unauthorized Tebow jersey or T-shirt from Reebok this week will buy an authorized Tebow item from Nike next week. Andrew Breitbart dead, collapses during walk! Lehman Brothers Elite Pay Packages Shocks Everyone Even Veteran Wall St.
Google to cut 4,000+ jobs in Motorola, Market Cheers Decision! Previous: Magic Johnson Wins LA Dodgers at Auction!